Where does American Office Services offer electrostatic painting in Maryland? American Office Services offers electrostatic painting services all throughout Maryland in major cities like Baltimore, Columbia, Germantown, Silver Spring, Waldorf, Glen Burnie, Ellicott City, Fredrick, Dundalk, Rockville, and all surrounding suburbs. In addition to our electrostatic painting in Maryland, we also provide electrostatic painting services nationwide. What are the benefits of having your electrostatic painting done at your Maryland facility? American Office Services travels throughout the entire state of Maryland with an experienced crew to apply electrostatic paint to just about any metal surface found in Maryland auditoriums, business offices, schools and Universities, and medical offices. 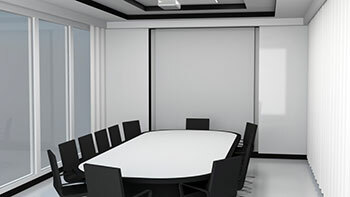 Using the electrostatic painting technique, American Office Services specializes in electrostatic painting in Maryland on surfaces such as lockers, metal furniture, lab equipment, aluminum window frames, auditorium seating metal frames and much more.